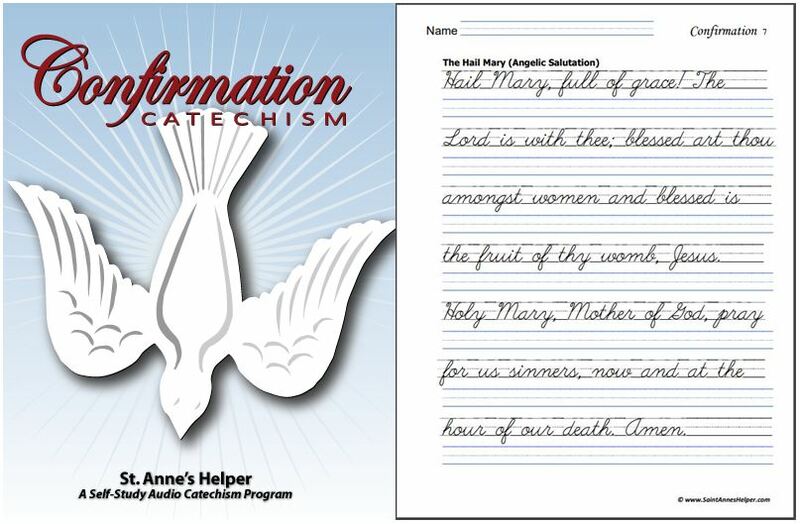 Catholic homeschool books make teaching the faith easier. Lepanto, OLVS, TAN Books, and more. 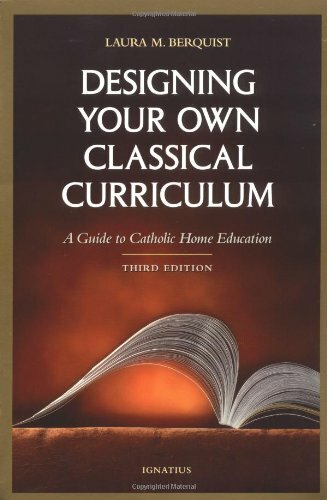 My favorite of all Catholic homeschool books, especially as a "how to find and use manual" is Laura Berquist's Designing Your Own Classical Curriculum. She not only lists great homeschool books to use for academics she also lists a great way to use them. She shows how you can use "real books" rather than text books. You'll love this concept if you find that most text books have an agenda that you want to spare your children. For those of us who are new to homeschooling it is good to have a list of providers that have put together complete Catholic homeschool programs. At the beginning it is very good to have lesson plans. Amazon: Designing Your Own Classical Curriculum. 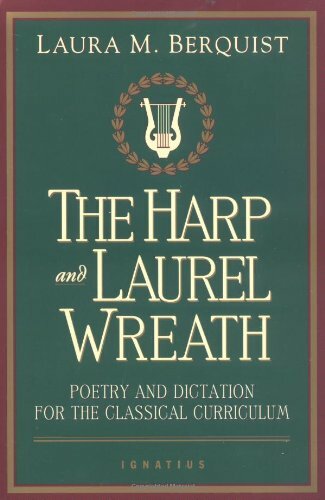 Amazon: Laura Berquist, The Harp and Laurel Wreath. Well, the lesson plans are like homework assignments. They not only tell your children which assignments to finish in which time frame, they also tell them which assignments to skip. There are odd exercises or too many exercises in some text books, and it is good to have the wisdom and experience of the Catholic homeschooling companies to sort the good from the bad or too much from too little. As you grow through homeschooling your first years, you will begin to have a feel for not only what is truly Catholic, but also what works for your family and your individual children. It is especially wonderful to skip the never ending fluff. Some children get confused or simply do not have the energy. What's truly exciting is to find unequivocally good Catholic books where the only lesson plan necessary is "turn the page"! This page recommends many Catholic providers of homeschool books in a long list below. You can make a book review or suggest your favorite book on the form below. You'll appreciate the good advice and short cuts. You'll find that the most reliable Catholic homeschool books are based on the Roman Catholic beliefs as found in the Douay-Rheims Bible and the old Baltimore Catechism. If a book uses quotes from the Douay-Rheims Bible it is likely to be a very good Catholic book - especially if it was written in the late twentieth century when authors knew to discern between the many Bibles that claim to be Catholic. You will see that these Bible quotes stand out as helpful indications. Double check the chapter and verse when it is given. My Absolute Fave! A Practical Commentary On Holy Scripture combines the Bible and the catechism. I wish all books were this good. Child's Bible History and Bible History book are excellent with catechism class. And these Catholic literature books. The question is, "Where do I find these good Catholic Homeschool books?" to go with my own Catholic home school curriculum? Lepanto Press is a Catholic book publishing company that has been noted for using the old Baltimore Catechism and reprinting old Catholic books and textbooks. They have started creating copybooks with theme based content. Here is what they say: "From the beginning, OLVS stressed Religion as the common thread throughout the curriculum, with an accent on the history of the Church. We have also emphasized the importance of good Catholic literature, and we are revising our Music program to teach young children the appreciation of Folk, Classical, and Sacred Music, including polyphony and chant." OLVS bases their Catholic religion books on the 1885 Baltimore Catechism and has the Living My Religion series for elementary school. Your children will love the sweet drawings and you will love the good content. My favorite books at OLVS are the new Catholic history and literature "real books". See their El Cid and Saint Fernando III by Mr. James Fitzhenry and their Catholic homeschool curriculum, also. They've got lesson plans for each book, too. Their K-3 Math is now in excellent workbook form. All the best features of the old books are combined into handy and comprehensive Math Workbooks. The children did better work than with the four other companies we tried. Our Lady of Victory School still uses Saxon Math for fifth through 12th grade. I want to mention that the homeschool math books are worth their weight in gold. They're so much easier to use than the old hard bound books, especially since the lesson numbers are included by each problem for easy reference. They have lovely handwriting books that cover Catholic themes and coordinate with their spelling and other books, so that each year has complementary reinforcement. OLVS uses many of the same science books as other Catholic homeschools. The main thing you'll want to know is that many of the companies have audio CDs of the text books. This is super handy for those students who find it hard to read an 8x11x2 book. There are also journals and lab related resources. Our Lady of Guadalupe Monastery offers an excellent supply of unusual Catholic homeschool books highlighting Benedictine spirituality. 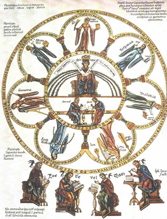 They have excellent selections for the study of Latin and calligraphy that we have not seen anywhere else. They are now also a Catholic book publishing company! Their website has a pdf of their 48 page catalog that is well worth the manual request. They are happy to take your order by phone. Their book list is well focused and has many rare finds. Catholic Vitality Publications is a Catholic family business that writes and sells great Catholic literature. Their original art tells the story in each of their Catholic Homeschool Books! Here is what they say: "Catholic Vitality Publications is dedicated to bringing the Roman Catholic faith and traditions to children. Learning to Love God is a children's book with 49 beautiful color illustrations to inspire your child to a greater love of God! 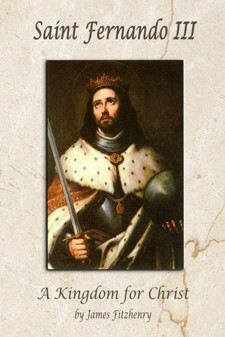 See and order El Cid and Saint Fernando III, brilliant living history literature at Our Lady of Victory School! Breathtaking Catholic adventure in true historical settings teach the details like no textbook can! I love the Catholic Mother Goose book for preschool and kindergarten. I'm adding it to my lists of good Catholic reading books. El Camino Real has Catholic books and gifts and much more. We found this company when we were searching for the The Catechism In Pictures (69 Large Full Color Plates). Its Catholic book publishing company has published the De la Salle Readers, the crown in their book selection! We did not know that these were in print. These seem to be excellent old Catholic books, a rare find! We love the pedagogy in the front of the books. A truly Catholic "McGuffy" reader set. We have our own antique set! They have many other good Catholic homeschool books as well. Here is what they say: "El Camino Real is a Catholic book store dedicated to spreading and publishing classic traditional Catholic books for individuals, families, and home school families who want to learn more about the liturgy of the Holy Sacrifice of the Mass, Church doctrine, scripture, bible study, theology, apologetics, devotions, the saints, Catholic literature and the spiritual life." Neumann Press is a Catholic book publishing company that has excellent Catholic homeschool books, especially if you are using Laura Berquist's method or are unschooling. They have a two book set for Homeschool advice in particular. Some of the most precious books for children are at this site. They have republished Our Holy Faith Vol. 2, Jesus Comes which is the back bone of St. Anne's Audio First Communion Catechism and Catechism Copybook. It is an excellent book with modest and delightful pictures to go along with some bible stories and the Baltimore Catechism. When Mr. Dennis McCoy died, TAN Books bought the company in 2013. "The Neumann Press is named after Saint John Neumann, bishop of Philadelphia (1851 to 1860), the first man from the United States of America canonized by the Church. Our goal and primary purpose is to republish orthodox, traditional and classic Catholic books that have gone out of print." Tan Books is a Catholic book publishing company that has made a phenomenal effort to republish truly excellent Catholic homeschool books, again, especially if you are using Laura Berquist's method or are unschooling. They also publish excellent editions of the Douay-Rheims Bible, the Catechism of the Council of Trent, and the Catholic Daily Missal(makes a great "Thought for the day" book). 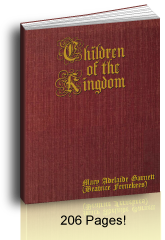 We have been grateful to use the Catechism of the Council of Trent with our high school children, it is plain spoken, easy to read and one of our favorite Catholic Homeschool Books! My absolute favorite book on their whole list is A Practical Commentary On Holy Scripture. It combines the Bible and the catechism. Their Child's Bible History and Bible History book are very good too. We pray that his successors continue to glorify God in this way. There are different versions of the Baltimore Catechisms, so you do need to be aware of this; but in general most editions concur with each other. 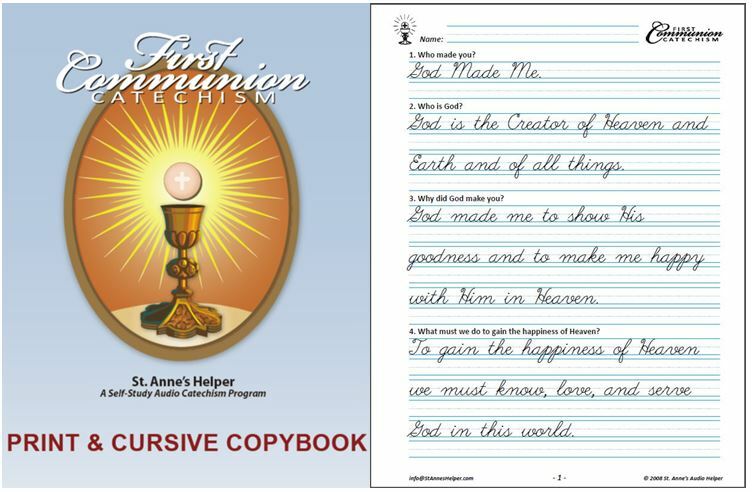 St. Anne's Helper Catechism Catholic Audiobooks and Catholic Worksheets Copybooks use the Baltimore Catechism for First Communion and Confirmation. These Catholic audio books help make the effort of teaching and the effort of learning much easier, especially if you want your students to memorize the answers. And other Catholic homeschool companies. Here are my favorite Catholic books for summer reading. Order St. Anne's Helper Catholic ebook downloads here! AdoremusBooks.com has taken down their website; yet in case they put it back online and because they were good to carry our CDs, I'll keep this entry. My favorite from their selection is Andrew Pudewa's IEW - Teaching Writing Structure and Style. This will take your writing classes from K-12. A real treasure for any writer, not just school children. 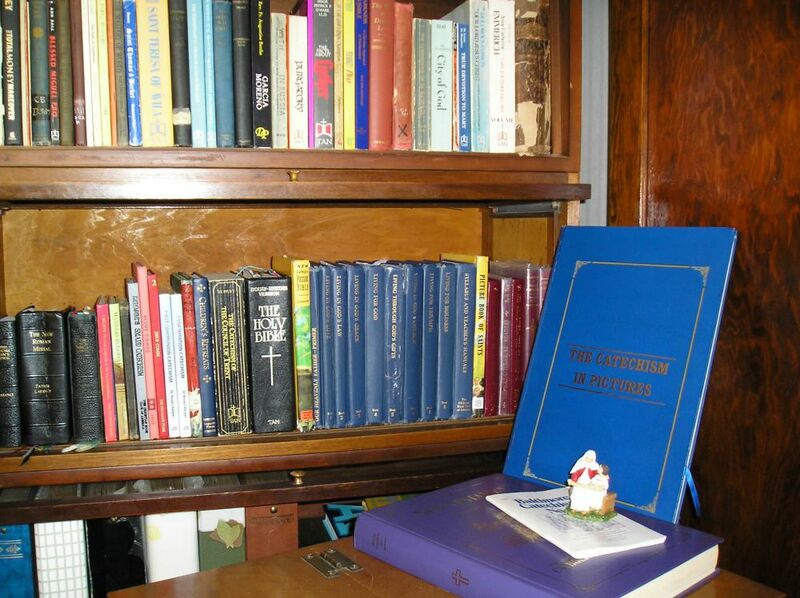 Here is what they said: "Adoremus Books (Latin for "Let Us Adore!") 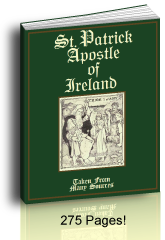 carries a broad selection of top quality books and resources designed to enrich your Catholic home from the Fathers of the Church to the great writers of today, Adoremus Books has something for everyone." Thank you for visiting our Catholic homeschool books list.